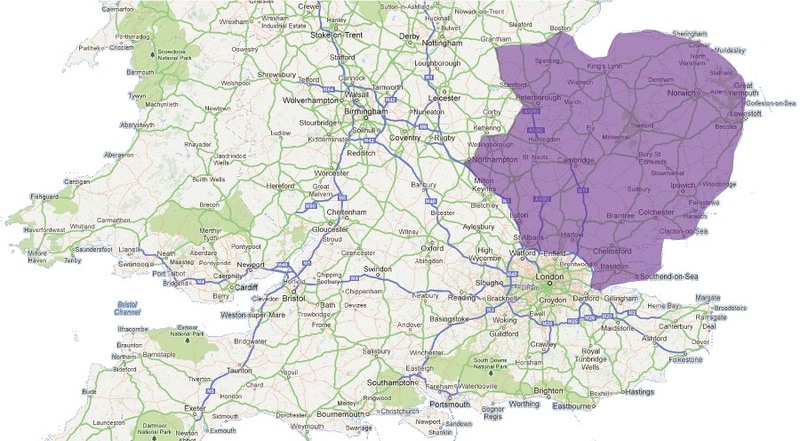 Camri: Focused Riso service and support across East Anglia. John R. Mammoliti manages CAMRI’s service and support. We have customers across East Anglia, i.e, Norfolk, Cambridgeshire, Suffolk, Bedfordshire, Herfordshire and Essex. John is probably more experienced than any other Riso partner’s engineer in the UK. Since 1996 he has obtained 13 training certificates covering all the Riso duplicators and printers we sell. We provide same day response to morning calls, and next-day response for all other calls. Planned service visits are usually arranged every 500,000 copies. CAMRI services, supports, and trains customers across East Anglia - Bedfordshire, Cambridgeshire, Essex, Hertfordshire, Norfolk, and Suffolk.